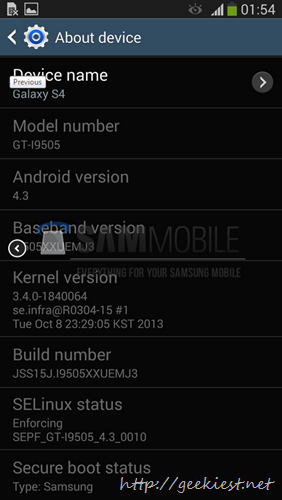 Android 4.3 test build is leaked fro Samsung Galaxy S4. This is not just a test build but it is one of the final builds. The release version will not add or remove any features from this build version. 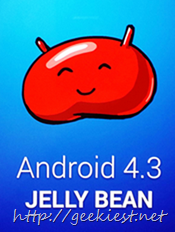 This rom is a full wipe one, so please make a backup before you flash this. Remember this firmware is for I9505 not for I9500. So if you are going to try this make sure you have the proper device.